Yup, that’s verbatim how it went down the night before I took Bon-Bon to the Baby Spa in Rowville! It’s a tough life, huh? But in all seriousness (and jealousy aside), I had the BEST time watching Maxi – HE LOVED IT! Max is the definition of a ‘chilled baby’, but this little excursion took that to new level! #CHILLEDAF. With MG at school now three days a week, it was really nice to get out of the house and spend some quality time together – these are the things the second/third/fourth child often misses out on, getting swept-up in the chaos of life and the routine of the older children. 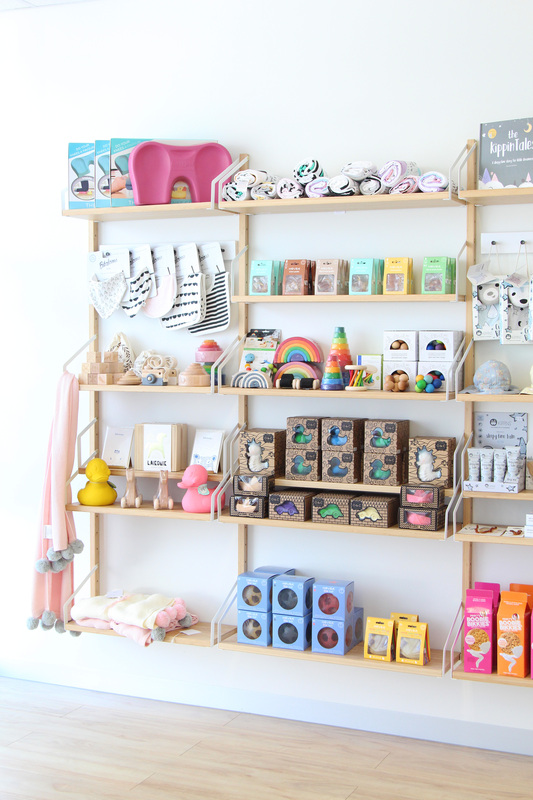 Baby Spa Melbourne offers hydrotherapy and infant massage for babies aged two days old – six months old (or eight months if you’ve been visiting them prior to six months). Baby Spa Melbourne also offers pregnancy massage and Pilates to for the mamma bears. 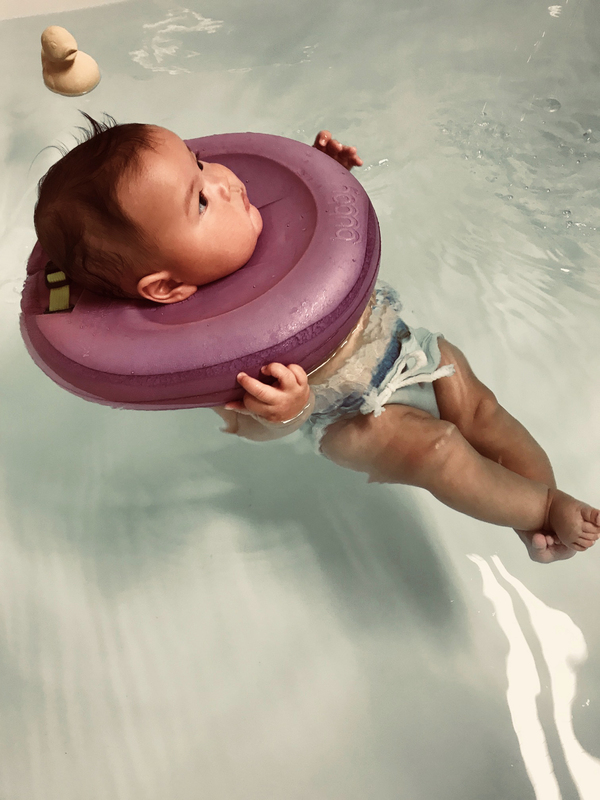 The Baby Spa has expert support staff of neonatal and paediatric nurses, and they use the Bubby ®, a patented flotation device for ensuring maximum comfort and support (they sit on their shoulders – super comfy for the bubs, they just look a little odd at first glance!). The larger spa pool (infants 8 weeks +) is sterilised with UV light, which destroys all bacteria, viruses, fungi and is safe and kind on the skin – especially for babies with eczema (aka my children!). That time Mr Chill was even MORE chilled! Maxi LOVED it! A Neonate Hydrotherapy & Massage session (0 – 8 weeks) for 45min is $89, and the Infant Hydrotherapy & Massage session (8+ weeks – 6 months) for 45min is also $89. There is a beautiful waiting room where you can feed your baby before and after the session, and there is no rush to leave. Maxi and I stayed for a little while after and chatted to a few other mums, it was really lovely. There are also packages available for the infants > 5 sessions $390, 10 sessions $720 and private/group bookings are available. So, what do you need to bring? NOTHING, just your bubba! 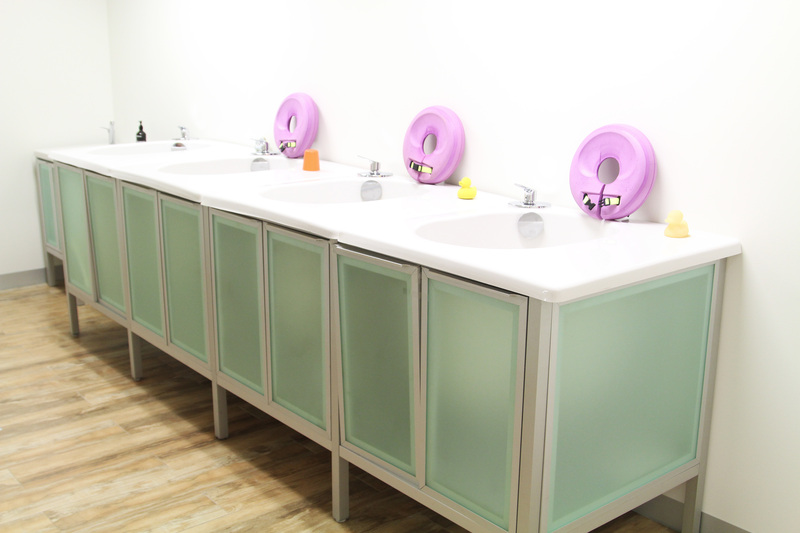 Water nappies, towels, wipes, you name it… they are provided. There are a few house rules to read-up on prior to your visit though, so CLICK HERE. 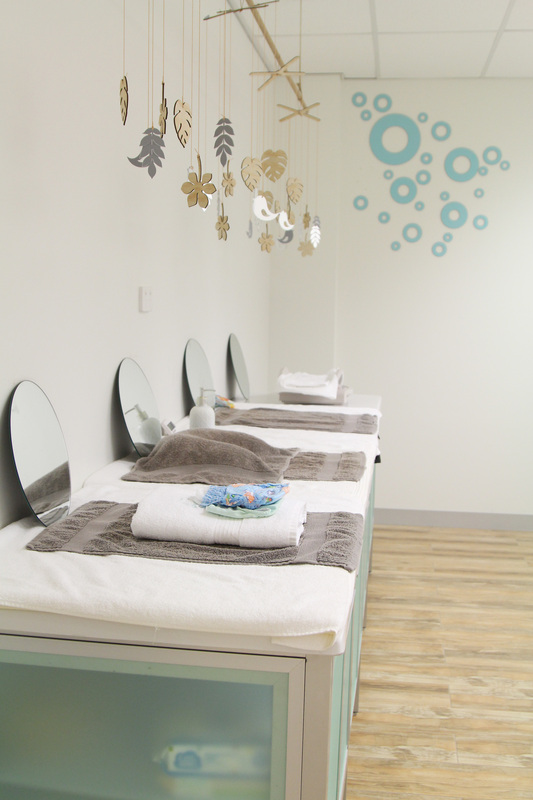 The Neonate massage area – this was my favourite bit, Max did some tummy time and couldn’t get enough of himself in the mirror! LOL! 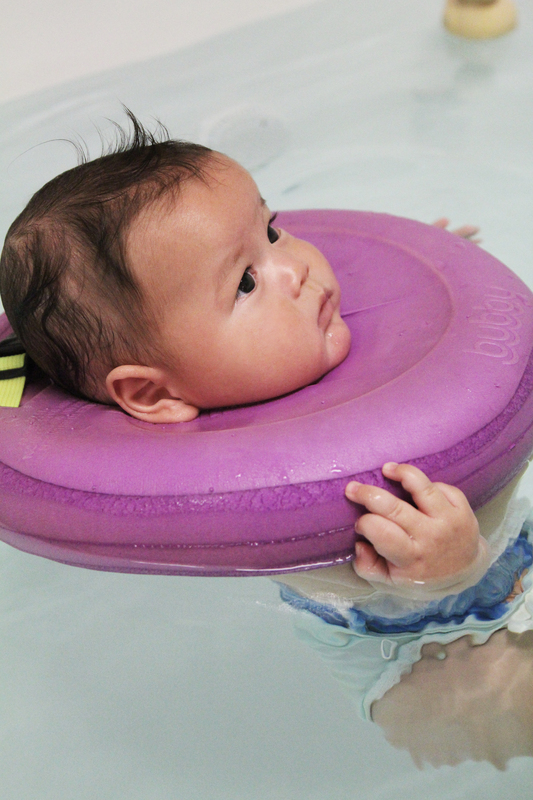 Hydrotherapy supports mental and physical development essential to your baby’s ability to move with control, and act with purpose on land. The more your baby can use his/her brain and muscles, the stronger they will grow. At Baby Spa, your baby will find the freedom and space he/she needs to progress and, most importantly, have fun as they learn at their own pace. Muscular and skeletal strength is increased through the water’s gentle resistance. Movement through the water has a positive effect on the digestive and circulatory systems, which can reduce meconium levels and lowers the risk of jaundice three or four days after birth. Subtle water pressure on the chest can increase lung capacity by strengthening intercostal muscles and the respiratory system. 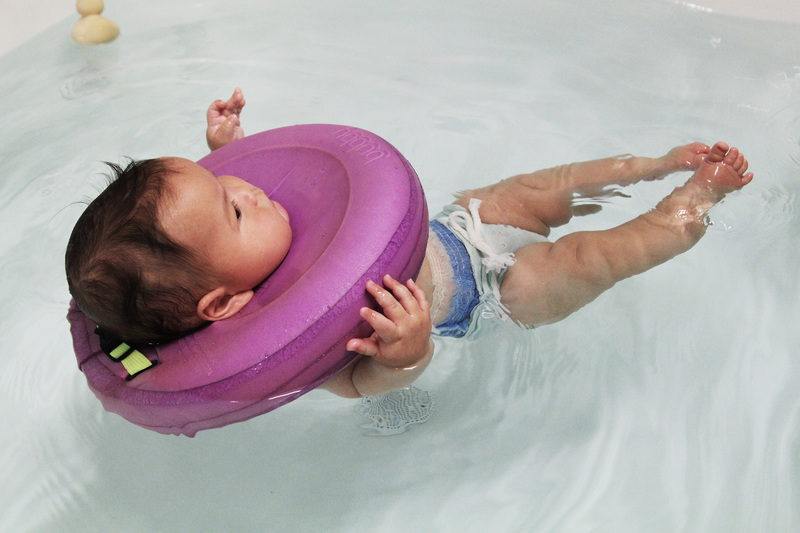 Innate swimming reflexes are stimulated and honed as babies learn to control their movements. Missing life in mamma’s womb? !